Northern Spark is an overnight art festival held in Minneapolis – and sometimes in Saint Paul too. 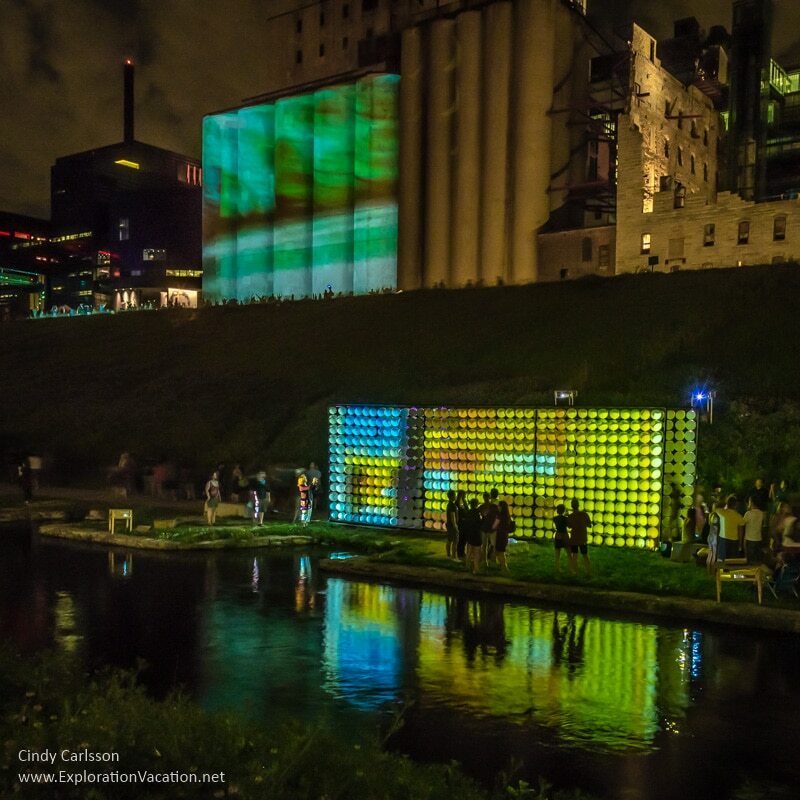 At its best, Northern Spark makes visitors see the world around them a little differently. That’s something I always appreciate, especially in own city. Northern Spark 2017 included events in four Saint Paul neighborhoods: Little Africa (at Snelling Avenue), Rondo (Lexington Parkway), Little Mekong (Western Avenue) and Lowertown (Union Depot). 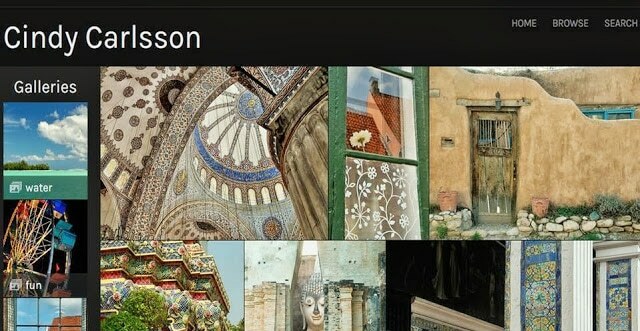 That list includes neighborhoods with vibrant cultures and a tradition of night markets and festivals. It seemed like a perfect showcase for Saint Paul’s diversity. The theme for this year, Climate Chaos: People Rising, also seemed promising, if a bit preachy. It is a continuation of last year’s theme, which was pretty heavy on interactive science, but mostly in highly visual forms. I was also looking forward to the fact that all exhibits would be along the Green light rail line. This makes moving between them easy and safe. And the light rail (and one of the exhibit areas) was walking distance from my house. That should make things really easy! I attend Northern Spark mostly for the visuals. It’s not often I get a chance to photograph illuminated art and activities at night, so that is my primary interest when attending Northern Spark. It is an opportunity for me to experience (and photograph!) art and the city in a way that is very different from my usual daytime experience. This year my plan was to focus on the Saint Paul portion of Northern Spark, beginning down the street from my house on Lexington and working my way downtown. If I had extra energy (it was a really hot night), I’d follow-up with a trip to Minneapolis. I started my visit to Northern Spark 2017 at Lexington Parkway, where there were a couple of performance pieces I wanted to see. However, when we arrived, we couldn’t figure out where the events were being held. There were no signs, no installations visible from the street, and no crowds to follow. Apparently everything was inside a building down the block somewhere. I’m sure it was cool, but I didn’t know where it was and I wasn’t looking to spend the night inside, so we got on the train to try another location. There was no mistaking where the activity was at Little Mekong. With the night market extended until midnight, the area was swarming with people, food, art and various objects for sale, and Northern Spark installations. While most of the Northern Spark projects were easy to find, most were also more intellectual than visual. For example, Clarence White’s Green Line Poet project was cool, but not particularly visual. The same was true of Aki Shibata’s project, which had participants write love letters to earth that were then broadcast on the radio. Again, this was a cool project, but not very visual. And, also like the poetry project, not something that benefited from being done at night. Another installation involved hanging words on a tree. I’m not exactly sure what project this was part of, but at least it was kind of fun to watch people move in and out of the twinkling lights as they added their words. By far the best part was the night market itself. The Little Mekong “night” market usually ends at sunset (this is Minnesota and we go to bed early, you know), so it was fun to see it all lit up. It also felt more like a real Asian market that way, since they usually continue well after sundown. 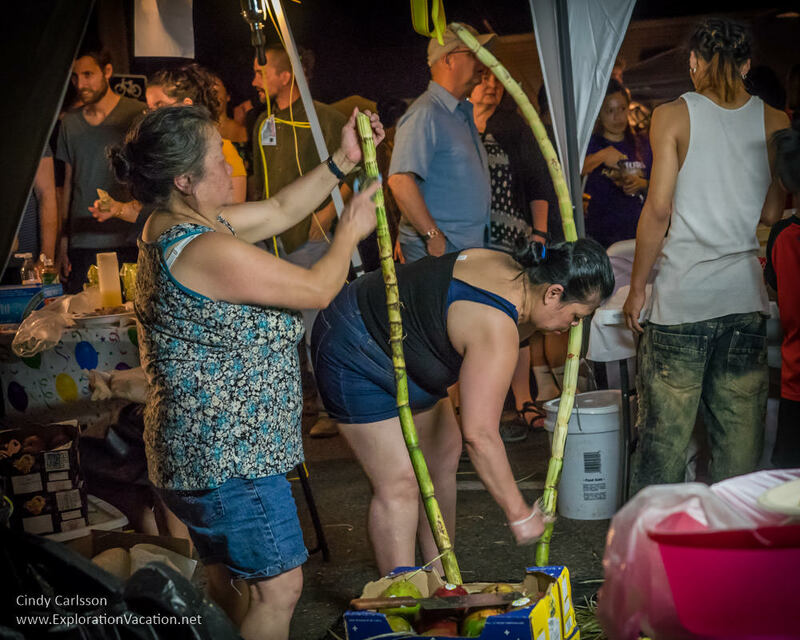 Of course, since this is Saint Paul, the night market isn’t just an Asian market – there was soul food, Asian food (some of which apparently required a lot of fresh sugar cane), and African drumming and dancing. It was a great mix. I was sort of surprised that the only venues downtown seemed to at the Depot. It would have been fun to have things in along the park above the river or in Rice Park or even at the state capitol (all of which are along the light rail line). Still, this was the only place where I found the sort of illuminated installations I was looking for, so I can’t complain too much! I loved watching the videos projected on the Union Depot Building. It’s mesmerizing to watch a building “move” like that. Both Mademoiselle Miel’s Bees Live Here and Wavelets Creative’s iNMiGRATiON were there, although I spent most of my time watching iNMiGRATiON. There was a lot more here too, but I wasn’t sure where. (Hey, Northern Spark, how about some wayfinding signs?) This is also the last stop on the train, which was a constant reminder that it doesn’t run very often once it gets really late. So we decided to call it a night. Of course, now I’m looking at all the things I missed and wishing I had stayed out longer! Northern Spark began in 2011. It has varied quite a bit from year to year as the location, theme, and participating artists shift. One thing that seems pretty consistent is the weather, which usually holds the unwelcome promise of torrential rainfall. Surprisingly, the severe thunderstorms initially predicted for Northern Spark 2017 decided to hold off a few hours, allowing participants to enjoy a hot, dry night this year. Another constant is that the event is always held after sunset. An outdoor event held after dark is a very different experience from one held during the day. After dark the movement from one exhibit to another exhibit feels like moving between different worlds. At the same time, the brightly lit exhibits are visible from a long ways away, making them at once disconnected and connected. It’s a sensation you just don’t get during the day or inside a building. To me, the whole point of the festival is that contrast between light and dark. It’s about the creation of art that interrupts, interprets, and plays off the darkness of night. It’s about creating art that makes us venture out into the darkness a bit to see what’s out there. But that is also what has changed most over the years. Art designed to be experienced outdoors at night should be different from art intended to be experienced during the day or indoors. That difference is what Northern Spark seemed to be all about in the beginning, and that resulted in a festival of exploration and adventure. Today Northern Spark seems at risk of turning into a social-action-through-art event instead of an outdoor celebration of art created for the night. As the focus changes, many projects lack any connection to either the outdoors or the darkness of night. Many installations/projects could be held anywhere at any time without impacting the experience. Increasingly installations and events are held indoors, severing all connections to the outdoors, the night, and even the city. The focus is moving away from art outdoors at night. That’s not the worst thing that could happen, but it would be a real loss. Northern Spark is a big collaborative community undertaking, so there is always a risk that it might not happen in any given year. However, with high turnout every year, it seems likely there will be another one in June 2018. Locations for Northern Spark events seem to be more closely tied to the light rail system with each passing year, with free transit passes available for the night. That makes it easy to move between venues. However, with only two light rail lines, it also constrains the number of locations available. It will be interesting to see how the transit system is or is not incorporated into future festivals. With multiple projects in multiple locations (70 projects in 7 locations this year), planning your night out can be a challenge. If you have a smart phone there is usually an app to help you. If, like me, you don’t have a smart phone, you can plan your time using the Northern Spark webpage. It just isn’t as user-friendly as the app. At least in the past couple of years there have not been any wayfinding signs to direct visitors to event sites or individual venues. Generally the crowds are big enough you can just follow along, but not always. Specific venues are listed on the website, but sometimes it’s hard to know where to look to find the listed address in an unfamiliar area. Food is usually available in at least one location, and food trucks often park nearby to provide even more options. In addition, there are always several stations for refilling water bottles. Northern Spark is free, but donations can be made through the website to ensure it occurs again in years to come.